AMD is reportedly preparing to release a new high-end GPU, known as the Radeon R9 380X, to bridge the large price gap between the $200 R9 380 and the $330 R9 390. Sitting in the sub-$300 market, likely around $250, the card would also slot nicely between Nvidia's similarly-priced GeForce GTX 960 and GTX 970 GPUs. The R9 380X is expected to be an entirely new card (that's right, not a rebrand of an existing card) featuring AMD's current-generation Tonga GPU, which is built on a 28nm manufacturing process and uses the company's GCN 1.2 architecture. The only cards to use the Tonga GPU are the Radeon R9 285 and R9 380, both of which are essentially identical and feature a cut-down Tonga chip with 1,792 shader cores enabled. The R9 380X will likely use a fully unlocked Tonga core to improve performance, expanding the core count to a full 2,048 with 128 TMUs and 32 ROPs. No specifications for the R9 380X have leaked out, so it's not known what clock speeds this card will run at, or what memory configuration we're looking at. Judging by the R9 380 though, we'd be looking at GDDR5 memory with at least 4 GB of frame buffer. 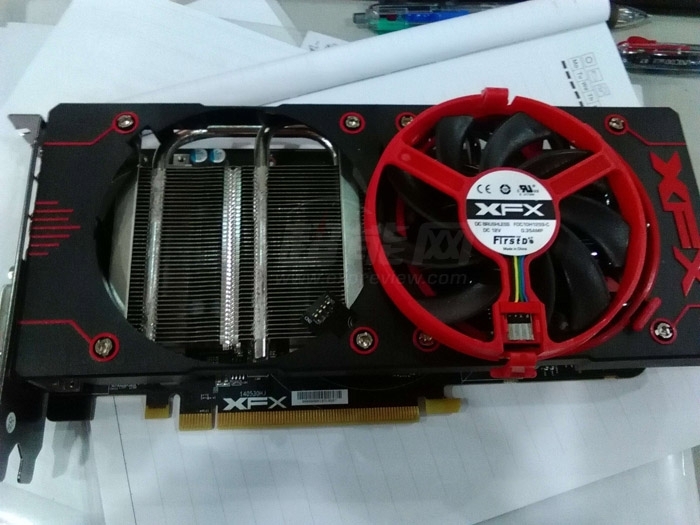 What we have seen appear is an XFX-branded R9 380X, seen above, with a "Double Dissipation" cooler featuring two fans that can be easily removed for cleaning. As the card doesn't use HBM, the PCB appears to be considerably longer than the more powerful Radeon R9 Nano, which uses AMD's newer Fiji GPU. 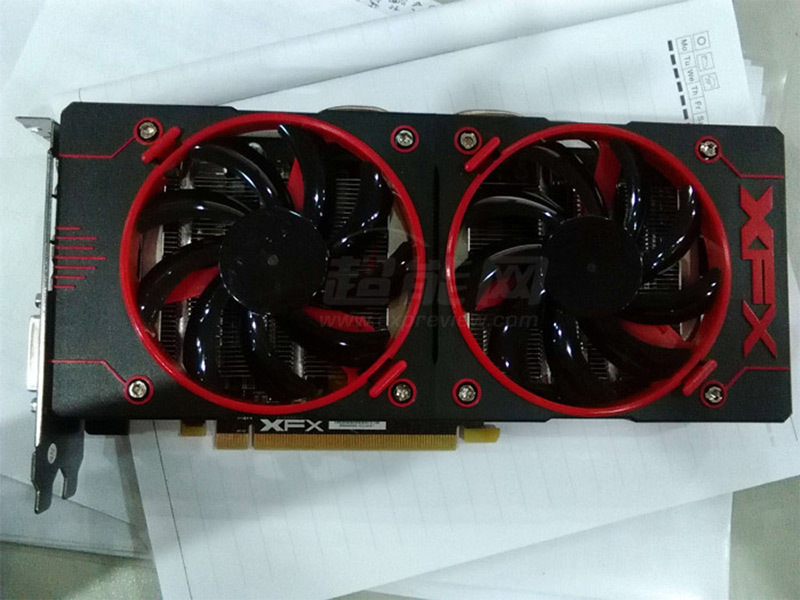 The R9 380X is reportedly being mass produced already, so we can expect this card to launch in the near future. It looks interesting. For a few bucks more more than the GTX 960, I hope it's a far better deal than the GTX 960 is which is nothing more than a thinly veiled money grab from Nvidia. madboyv1 and noel24 like this. You can get a 290 for $250 so it better be at least as fast.